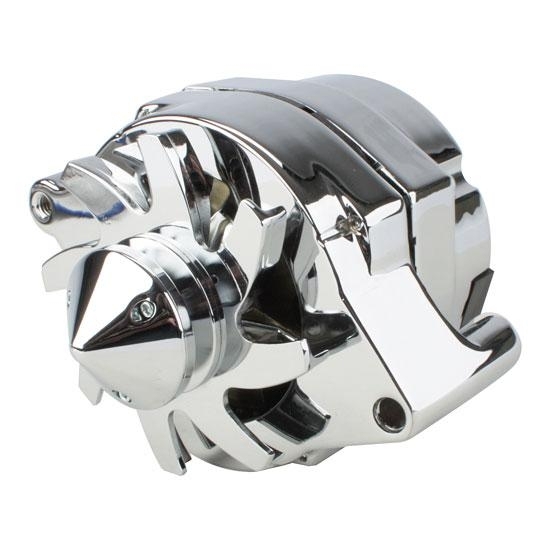 The Silver Bullet alternators are 100% new construction with a distinctive billet fan and pulley for good looks and increased performance. They are a one-wire hook-up with ulatra low cut-in regulator which charges from a idle up to highway speeds. Fits Ford mounts with V-belt pulley. 140 amp rating. Available in black powder coated or triple chrome finish.